The sweet sweat waist trimmer increases your core temperature during exercise improving sweating and activity. It fits around your waist comfortably and is flexible. 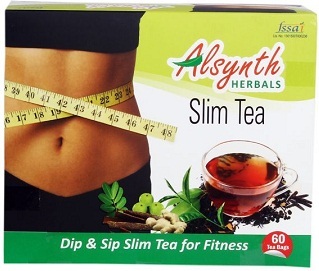 Use it on a regular basis to get a slimmer tummy. Magnet therapy brings about cellular modifications within your body which turns carbohydrates and fats into a useful source of energy. It also improves the metabolism of your body which helps you lose weight faster. Along with boosting the metabolism, magnet therapy also improves blood circulation which promotes weight loss. 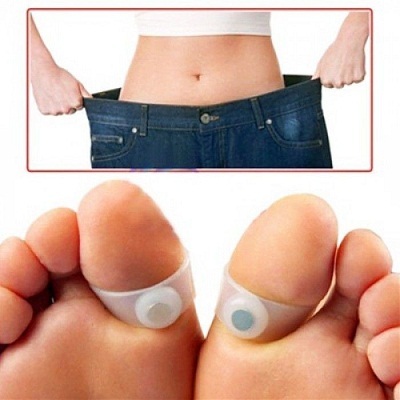 Use these slimming toe rings on a regular basis to lose weight and look slimmer. You may be wondering what a pair of jeans could possibly do to make you look slimmer. Well, this one does! It not just makes you look stylish but also makes you look slimmer. It combines the style of designer denim jeans along with the comfort of your favourite leggings. With SlimFlex technology, this pair of jeans perfectly contours your body and makes you look slimmer. The stretch waistband holds your tummy firmly and the compression zones lift your bottom to enhance your appearance. Bid farewell to those love handles. This body shaping undergarment is a breakthrough product. Made of breathable microfiber fabric, it contours and shapes from below the bust line to the area above the knee line. It transforms your figure instantly. No matter what you wear, it gives you a perfect fit and a lean appearance. All these conditions make it favourable for your body to lose weight.